Cranes-UK supplied a huge 3Tonne Jib Crane to be used for unloading trucks in central London, which can be seen standing proud just shy of 11.5m tall on St. Mary Axe. 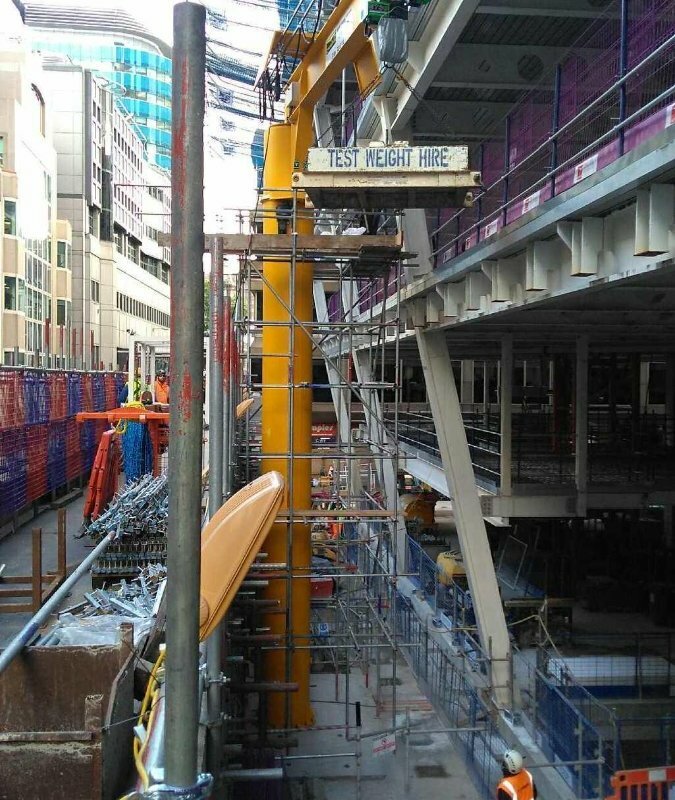 The crane was specially designed to meet the requirements of a commercial building site in order to increase productivity and avoid the need to ensure every truck attending site was fitted with craneage. It also meant that less time was spent unloading/reloading forklift trucks which resulted in more deliveries being able to attend site. Cranes-UK were able to further excel the customer requirements and fitted the crane on a Sunday to avoid any unnecessary disruption to the workforce on site. 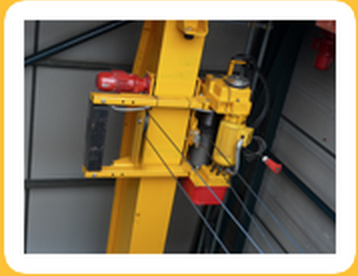 Supply, Packing and Export of four Donati Jib Cranes to Dubai for use in a component manufacturing facility. Cranes-UK supplied billboard advertising market leader Clear Channel with 12 Lodestar Electric Chain Hoists for an urgent lifting project. We went exceeded customer expectations with speedy production exceptional customer service while maintaining competitive costs throughout. 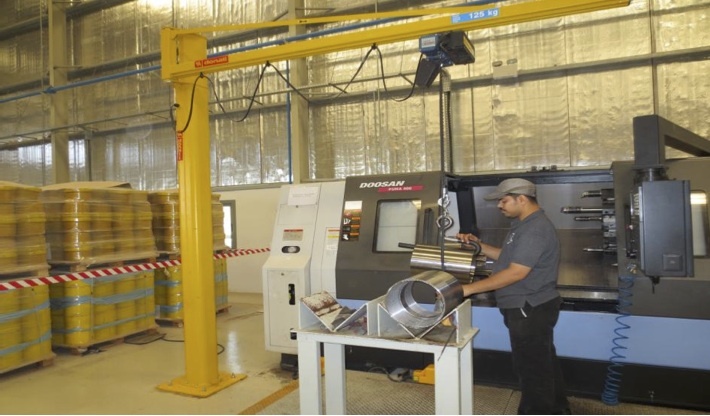 Established oil and gas drilling component producer National Oilwell Varco required two fully electronically operated Jib Cranes, each offering a lifting capacity of 3.2Tonnes. After comparing many options, Cranes-UK sucessfilly provided the most competitive bid with the shortest lead times for production and installation.